Stacey Givens, owner of The Side Yard Farm and Kitchen, was recently invited to Japan to show case her “farm-to-plate” suppers and to share her urban farming expertise. They Love Her Farm: Last spring, the Japanese magazine Huge did a series of articles about urban farming in the U.S., and Stacey Givens and the Side Yard Farm was featured. Since its publication, Stacey reports Japanese tourists have been coming to her farm, almost as if on a pilgrimage. 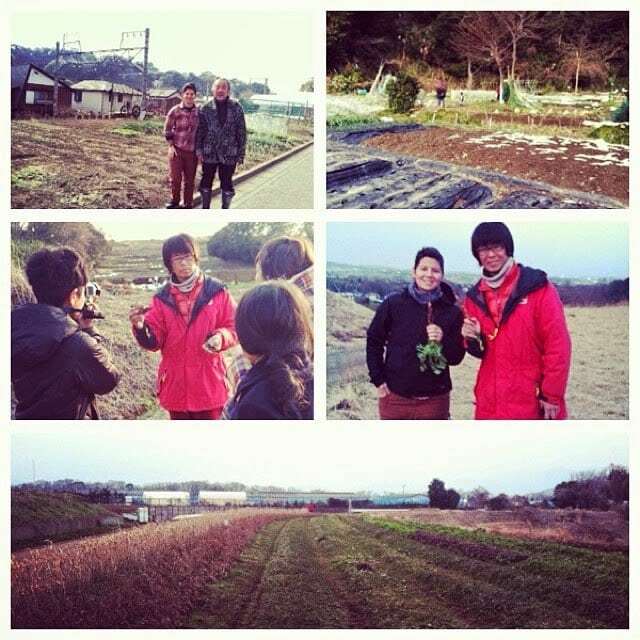 The Japanese tourists come to volunteer, to learn and to experience her farm. Portland! One of Stacey’s first observations there was that Japan is simply in love with all things Portland. 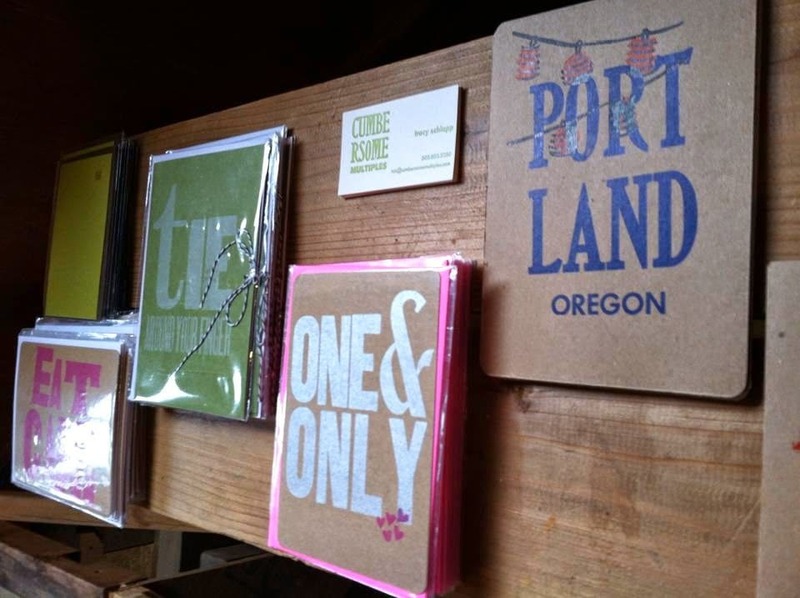 Gift shops are full of “I love Portland” items and clothing. The Japanese seek out Portland cuisine. Portland is known as a great place for urban farming, and Stacey is part of that. The Plan: In October, Yuri, a freelance photographer, visited the farm and liked what she saw. She suggested to Stacey that she arrange for a Stacey to go to Japan to cook and to share. Hitomi, who lives in Portland, also helped plan the trip and served as an interpreter. Stacey spent about two weeks in Japan, and based on the smile on Stacey’s face as she told me about her trip, she had an amazing experience. Kamakura: While in Japan, Stacey prepared two farm-to-plate meals, using food from the local areas. Her first meal was in a town called Kamakura. The hosts were the owners of a cooking school, Cactus, who opened their house and kitchen for Stacey. 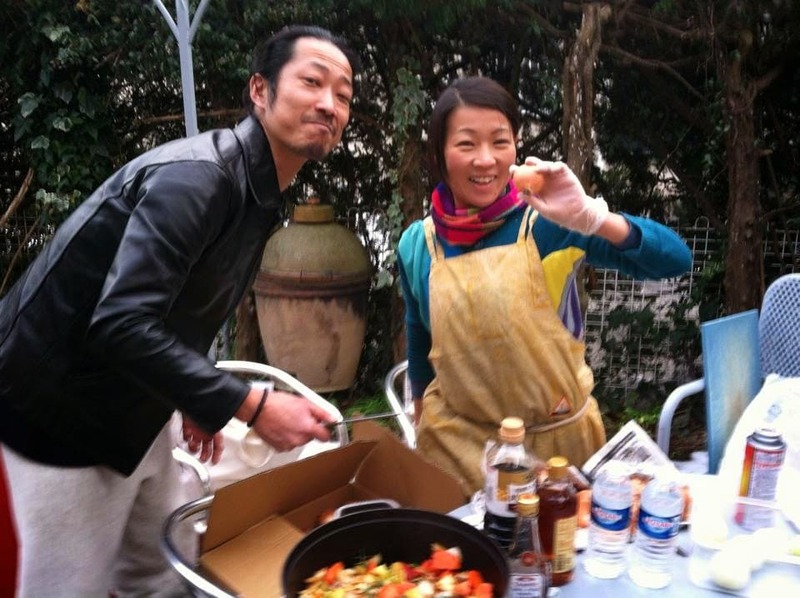 They are the parents of Junpei, a local baker and owner of the bakery Paradise Alley in Kamakura. It’s All Local: Kamakura is a small town, and the Cactus offered a small kitchen. Stacey set up impromptu prep stations outside and used the naturally cool air to help refrigerate food. It was truly a local affair. Many local residents loaned Stacey tools and dishware and helped her prepare the food. Someone even built tables for the meal. Made in Portland: The meal naturally included fare from Portland. 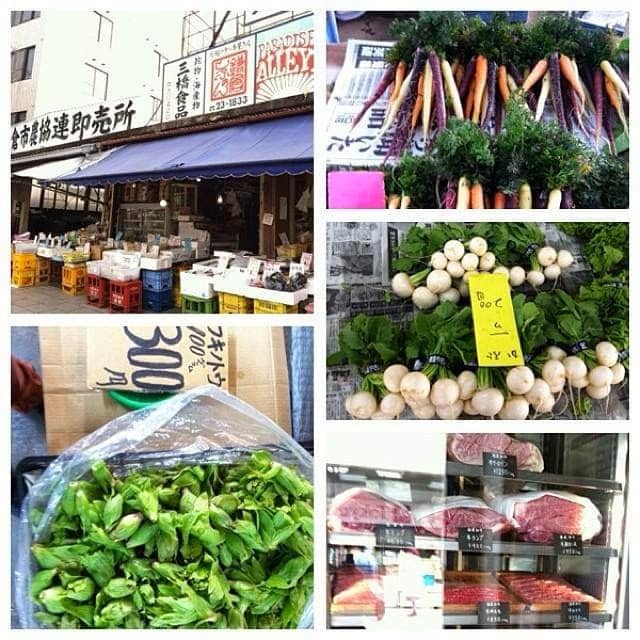 Apparently, Stacey arrived in Japan with many pounds of luggage, including 5 lbs of goat cheese, 5 lbs of coffee, jam, Dogwood vodka and gin, and hops! Fortunately, she also discovered a road side pick up and delivery service. Her home base was in Tokyo, and this delivery service made transporting all her gear and food from one town to the next a snap. Feast 1: The pop-up brunch in Kamakura was a huge success. About 30 people attended. After feasting, the diners also enjoyed a market with local artisan wares set up on location. Farms! 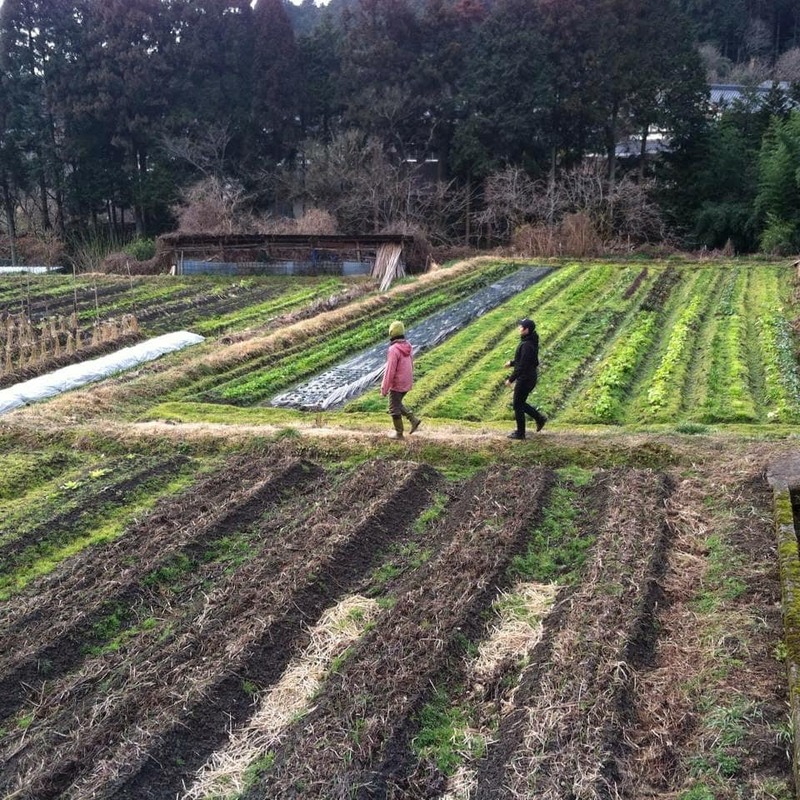 Before heading to Kyoto, where the next feast was planned, Stacey took the time to visit some farms. One memorable farm was owned by Teruhiko Usui, who is a natural farmer outside Kamakura. As I understand it, this farmer only uses what is naturally available on the land. He does not amend the soil or irrigate. The results are amazing. Stacey saw and tasted vegetables several months old that had not spoiled yet. Feast 2: The second pop-up meal was in Kyoto, where Stacey prepared a fabulous dinner. The scene was an old warehouse, which was really the storage area for an apartment. The owners built tables for the event, and hung photos on the walls, transforming the warehouse into an art gallery. The menu included 3 beers paired with 3 different courses. Stacey couldn’t have prepared anything much more “Portland” than that! Stacey is busy planning her next trip to Japan, this time bringing along her friend from Commons Brewery. Thank you Stacey for sharing your story and your wonderful photos!